2018 has been a good year for mobile app development. 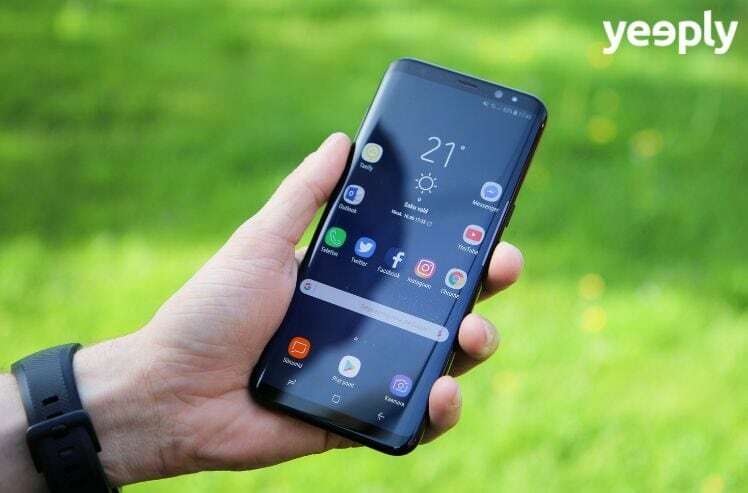 With the arrival of the latest Android Pie OS version and Apple’s iOS 12, smartphones are being upgraded with the latest technology. Continuous innovation also means more opportunities for app developers and goes hand in hand with the rise of new trends among the app users. In this article, we’ll cover some of the most important mobile app development trends to keep an eye on in 2019 and beyond. Keep reading to find out more! The latest developments in the realm of IoT have enabled us to control different devices using our smartphones. The result of this is smart homes, smart buildings, smart transporting, smart healthcare and a whole lot of other innovations. IoT will make room for more opportunities in mobile app development to accelerate operations, reduce costs and improve cybersecurity. By 2019, there will be more than 8 billion IoT devices in use and this number is expected to grow even faster. Over the last few years Augmented Reality (AR) and Virtual Reality (VR) have revolutionised the mobile app development industry. Especially in the entertainment, gaming and social media industry they’ve risen in popularity. In 2019, both technologies are expected to become (even more) hot in various sectors like health, engineering, retail, real estate and more. According to Statista, the global market of AR and VR will increment forcefully from €23.4 billion euros in 2018 to about €181 billion in 2022. On-demand apps are now a classic among new trends, but as they move effortlessly with every technological progress, they are always a trend for the future. If only looking at the current market, there are endless ideas for on-demand apps that allow you to launch a new product or service easily and efficiently. Bottom line is that we want to be serviced faster than ever in our daily lives, which leads to all kinds of ‘Uber-like’ app services such as cleaning, shopping, paying parking fees, ordering a taxi etc. Besides, it’s expected that more and more companies will launch on-demand apps for existing and new customers. Leading applications like Siri, Cortana, Alexa and Google Assistant are also making our day to day easier. Tasks like reading, sending messages or searching the internet for information are taken over by the Artificial Intelligence (AI) capabilities of these apps. Besides individuals, companies also notice the benefits and convenience of AI. In the coming year, the number of apps in the form of chatbots and personal assistance will likely increase. Even the International Data Corporation forecast the AI industry will set a new benchmark by increasing to €67.3 billion euros in 2022. Instant Apps were introduced by Google in 2016 and after two years they are still growing in popularity. To give a small recap – Instant Apps are native apps that you don’t need to download or install on your phone in order to use them. They are smaller in size than regular apps and provide the basic functionalities of a website. In 2019, media companies and publishers, in particular, are expected to benefit more from the quick ROI of Instant Apps. A well-known example is Vimeo’s most recent report which shows that the session rate has increased by 130% since adding the Android instant app touch button. Read also | What are Native, Web and Hybrid Apps? A recent update of CCS Insights shows that the number of wearable devices worldwide will triple by 2019 compared to 2015. Wearable technology now goes beyond counting the number of steps you take or measuring your heart rate. Think of health apps that help to control a disease or condition via your smartphone. With the increasing demand for wearable devices such as smartwatches, fitness watches or portable cameras, the development of wearable apps will undoubtedly get a boost as well. In addition, the demand for wearable app developers to create innovative health apps is also growing. The way consumers shop and pay have changed a lot in the last few years. As a result, the way of paying was switched from cash to cards and now moving towards mobile payment apps such as Paytm and Google Pay. The preference for m-wallets is growing, although neither merchants nor consumers have yet fully embraced the technology. Possible reasons for this is less the mobile wallet itself but rather that people stay loyal to traditional payment methods. However, most banks are now offering mobile banking so the use of mobile payment apps is expected to increase in the coming year. In fact, the figures of Business Insider show an annual growth rate of 80% between 2015 and 2020. In all likelihood, 2019 will be the year in which AMP will become the new standard and the mobile loading speed will become a priority for both new and existing websites. Apps are becoming more and more part of our daily lives. From simply ordering groceries to fully controlling home devices, the possibilities are endless. Because we are getting more used to easily pay for all purchases online with payment apps, the focus on privacy and security is also increasing. In 2019 attention will be paid to this when we make the next step in the development of mobile apps with these trends. Would you like to know more about mobile app development and whether apps could be interesting for you? Don’t hesitate to contact us!